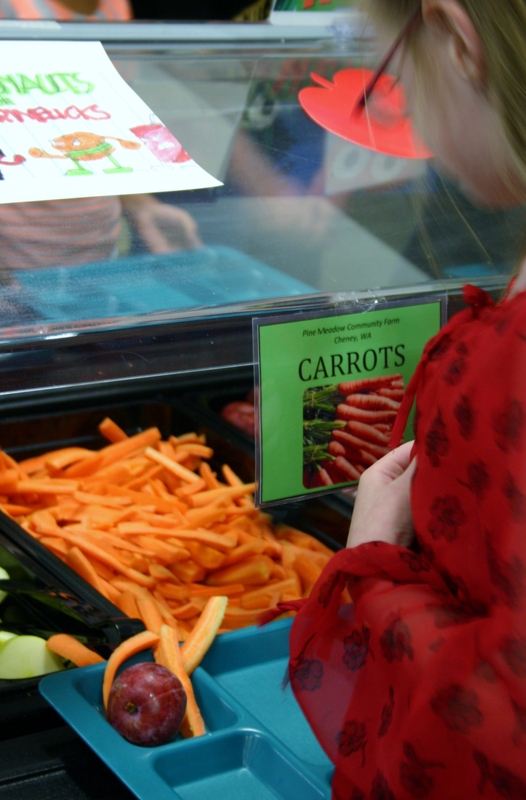 The kids at Grant Elementary School in the Perry neighborhood got a taste of fresh Washington fruits and vegetables on the salad bar on Wednesday. The Washington Department of Agriculture and the Washington State Nutrition Assoication teamed up for "Taste Washington Day" at school districts across the state. 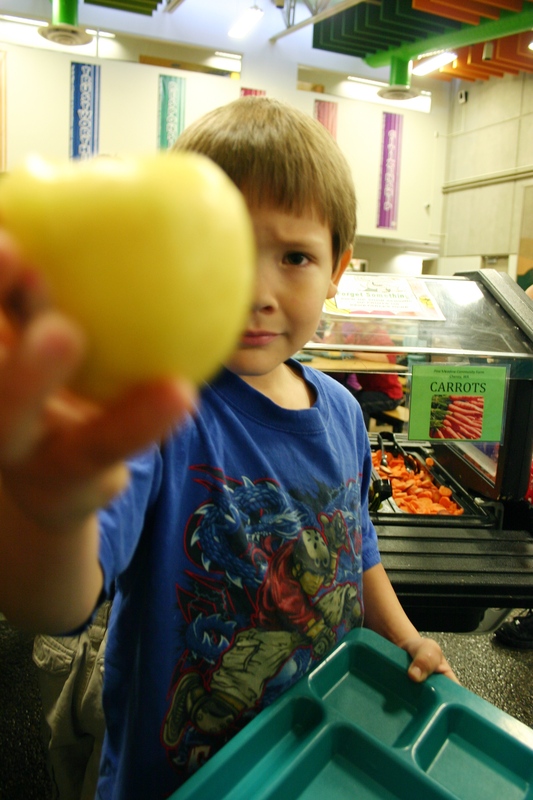 At Grant, waves of kids came through the lunch line were able to choose from apples, peaches and pluots grown near Othello and carrots grown in Cheney. Older students helped the younger kids pick out produce and encouraged them to try something new. Brian Estes, Eastern Washington coordinator for Fresh Food in Schools, said they hope the exposure will help kids discover new flavors they love and in turn encourage their families to buy them. Doug Wordell, Director of Nutrition Services for Spokane's School District 81, said a new mandate from the USDA means children must choose a fruit or vegetable with their lunches. He said they expected to increase spending on fresh fruits and vegetables by about $250,000 this year to meet that new rule, but now estimates the increase at about $500,000 because kids have been eating more healthy produce. There is some waste, Wordell said, but getting more fresh fruits and vegetables onto kids' lunch trays is good news. They'll be working on ways to reduce waste soon. Wordell said the district always buys some Washington grown produce, but Wednesday's fruit and vegetables were all from the state. It helps to highlight the farm-to-table connection and the importance of helping local farmers by buying their produce, Estes said. Spokane City Council President Ben Stuckart stopped by to see the efforts as did councilman Jon Snyder.